The benefits of internalising asset management functions go well beyond cost and they are likely to put you in a better position when managing relationships with external managers, John Pearce, Chief Investment Officer of UniSuper, says. In an exclusive interview with i3 Insights, Pearce argues much of internalisation is about having a greater oversight over the people and processes that shape your investment strategy. “When you outsource 100 per cent and the people that outsource have actually never managed money themselves, where do you think the balance of power is in terms of a simple engagement with a fund manager?” he says. “It is the fund manager who is running the meeting and talking about their favourite stocks. So it was always clear to me that in-house management was going to improve our outsourcing capability. UniSuper began insourcing asset management functions in 2009, initially starting small with a real estate investment trust portfolio of 20 stocks. Although the directors of UniSuper at the time included some staunch supporters of in-house management, Pearce realised he had to get the full board to buy into the strategy. “If I go back to first principles, what I stress to my peers is that you’ve got to have board sponsorship for this. If you don’t have board sponsorship, then you are wasting your time. You are constantly trying to convince a board of something that is going against their grain,” he says. 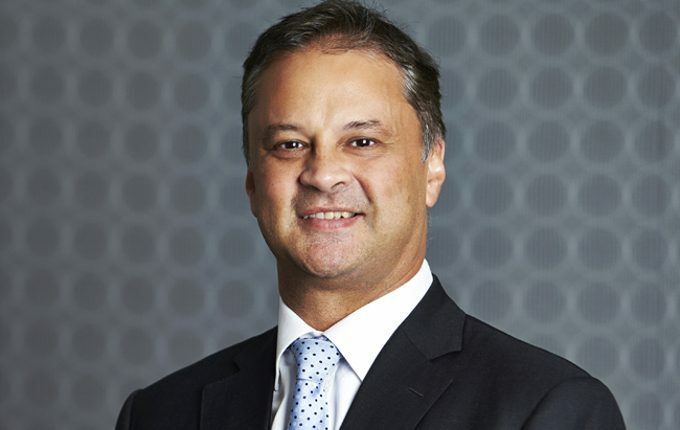 At the time, UniSuper’s board included asset management veterans, such as Elizabeth Bryan, former Chief Executive Officer of Deutsche Asset Management, Chris Cuffe, ex-CEO of Colonial First State, and Mervyn Peacock, former CIO of AMP Capital. But other directors took a little longer to get on board and Pearce says the way he explained it was simply as a matter of risk management. “It was spread across 40-odd managers, we were limited partners, we didn’t have any control over their investment decisions, we can’t take any money back; it is illiquid. It is committed so whenever they want to invest they’ll give us a call. I really don’t have a clue. “You can contrast that $2 billion with: I’ve got a guy sitting across from me. He is managing large-cap Australian equities, they are all listed. I know within 24 hours exactly what he has done, because the custodian needs to reconcile everything. ‘Now, you tell me director: which one is actually more risky?’ Then the penny dropped. However, insourcing asset management also means insourcing risk. When a fund enters its own trades, the chance is always there that someone will make a mistake, and when you run a pension fund that has more than $70 billion in assets, mistakes can potentially be costly. To deal with this problem, Pearce needed to ensure the system on which the investments were managed was watertight and for him that meant having a single system across the entire fund. “A big lesson I learned in the past was that every asset class wants its own system,” he says. Despite the tight processes, one of the greatest benefits of managing money in-house is that the investment team is still able to make investment decisions quickly on relatively large amounts without the traditional constraints on asset classes. “We don’t have the bucket problem. If you go to a lot of other funds, it is very silo driven. Your Aussie equities manager cares about their Aussie equities exposure and looks at that benchmark. So what happens when there is an opportunity in the hybrid market?” Pearce says. “About 2.5 years ago there was a collapse in the commodity prices and a lot of the banks had to roll over their hybrid programs. Now, a hybrid security poses a problem for an equity guy, but it also poses a problem for a fixed income guy, because it is neither. “We looked at it as a team and said: ‘These are fantastic value. We are going to buy as much as we possibly can.’ And we were able to take positions relatively quickly. There were three major banks and we said ‘we are going to cornerstone all of their offerings’. That is where we use our competitive advantage. “When the whole team has a high conviction on single exposures, that is where we’ve had our best success. Now, you can’t take those positions as an external manager. An external manager with a mandate of, let’s say $100 million, the maximum that manager can take is $10 million in any [stock], even that I doubt they can do. Increasingly more funds that have brought asset management in-house have adopted a factor approach to investing, running large rules-based strategies. But Pearce is not a big fan of factor investing. “The problem is: How stable are these relationships over time? I wonder how many of these people were investment people first and quant second, versus quant first and investment people second,” he says. He says a good test of an investment strategy’s merit is whether he is able to explain it in plain English to his members, who as university staff are generally intelligent, but not specialists. “If I can’t explain everything we do in plain English, then we have a problem. With factor investing some of the mumbo jumbo of what I hear, I wouldn’t peddle it out to our members,” he says. Asked about his views on the period ahead, Pearce shares a few strategic tilts with us, showing confidence in technology, pessimism on Europe and optimism for United States banks. “We think tech will be a long-term structural overweight for us,” he says. “But we do vary that: sometimes it is more overweight than at other times, because we take profits. But every time we take a bit of profit we almost have regret because it keeps on ploughing on. “We also have had a structural underweight to Europe for a long time. I have very dim prospects about Europe generally. I think the euro is a fundamentally flawed concept. I’m not saying that now because of the problems they are having, but I’ve been in the market a long time and I always thought it was a flawed concept. “You don’t have a political union and you are trying to get economical union. It ain’t going to work. You can see it now with Greece, right? Seriously, how is a country ever going to come out without having the drachma? But he is quick to point out his views on Europe do not extend to all European companies. “When I say that we are underweight Europe that means Europe Inc. But that doesn’t mean we are not going to have a lot of European companies in our portfolios, because there are some great European companies,” he says. Finally, the UniSuper team is positive on the US economy and play this thematic through the banks. “We have a massive position in US banks and we took that position based on a macro view that the US economy was doing really well, and that is going to be reflected in rate rises, yield-curve twist, et cetera. The banks would benefit, because banks are basically a leveraged play on their economies,” Pearce says. “I doubt we will ever get to a position where we do that in Europe. We have been nibbling a little bit away at some of the domestically focused UK banks, despite the fact that Brexit is looming. That could play out nasty, but the sterling reflects that to some extent already.